Posted on June 24, 2018 by H. W.
Yajna (or conversely, Yagna) literally translates as “sacrifice, worship, or offering,” and refers, in modern Hinduism, to any ritual done in front of a sacred fire. The tradition has evolved considerably over time, however, from the offering of objects and libations into a sacred fire to symbolic offerings in the presence of sacred fire (Agni). The word yajna appears throughout the earliest Vedic literatures (2nd millennium BCE) such as in the Brahmanas and in the Yajurveda. In the Rigveda, Yajurveda and others, it means “worship, devotion to anything, prayer and praise, an act of worship or devotion, a form of offering or oblation, and sacrifice.” In post-Vedic literature, the term meant any form of rite, ceremony or devotion with an actual or symbolic offering or effort. Yajna ritual-related texts are also called the Karma-kanda (ritual works) portion of the Vedic literatures, in contrast to Jnana-kanda (knowledge) portions contained in the Upanishads. The proper completion of Yajna-like rituals was the primary focus of Mimansa school of Hindu philosophy, though the performance of various types of yajna ceremonies have continued to play a central role in a Hindu’s rites of passage, festivals, and community events. Modern major Hindu temple ceremonies, Hindu community celebrations, or monastic initiations may also include Yajna rites, or may alternatively be based on agamic rituals. 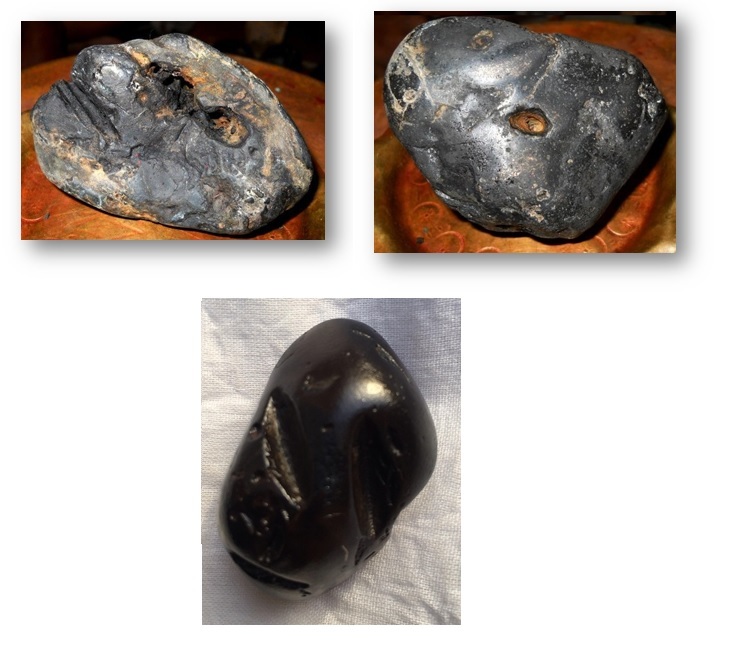 Veneration more generally also remains similar to other Mahavishnu Shaligrams, where they are said to ward off misfortune and to protect the family and community from evil spirits, unquiet ghosts, or from deceit through witchcraft or magic. As uninvoked, presiding deities at yajna rites, they are also said to ensure proper performance of the ritual and to ensure that the merits of the ritual are reciprocally rewarded. 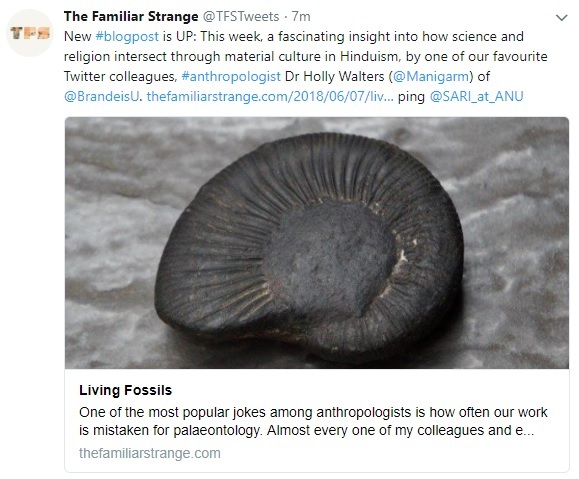 Posted on June 6, 2018 by H. W.
My work on Shaligram stones has been featured on the popular anthropology blog The Familiar Strange.